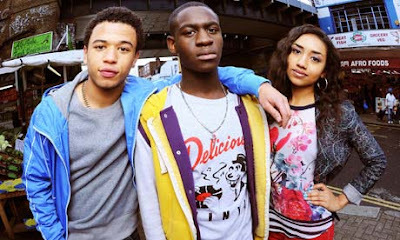 E4 has ordered eight more episodes of the critically-acclaimed South London comedy drama Youngers from Big Talk Productions. Written by Levi David Addai and set in South London it follows a group of friends trying to make it in the urban music scene while negotiating their way through teenage life. Series Two will see our Youngers Jay (Calvin Demba), Yemi (Ade Oyefeso) and Davina (Shavani Seth) return alongside comedy sidekicks Mandem on the Wall and a host of exciting new characters. For all of them, the stakes are even higher as the complications of growing up clash with their dreams of musical success. Executive Producer, Luke Alkin added: "The critical reaction to Youngers has been fantastic. Series 1 was loved by its young audience so we're absolutely delighted to be bringing it back again." The eight part series will shoot in South London from November to transmit on E4 in 2014.